Native New Yorkers, the Merola family have long held a tradition of spending summers in Rhode Island. When they learned the costs of renovating their existing cottage would significantly outweigh the benefits, they instead opted to build new. 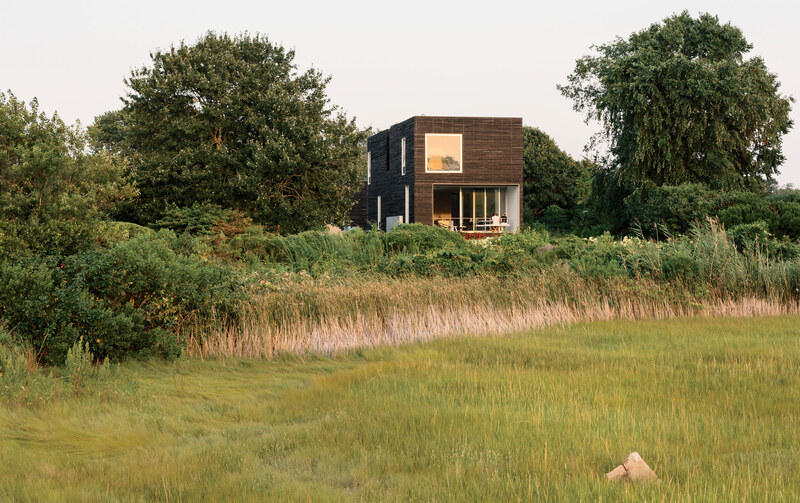 The result—a distinctively modernist box structure clad in milled slats of charred, brushed, and oiled cypress—sits nestled within the marshy landscape of Quonochontaug Pond. Building on the site of a former one-car garage, an architect created this family’s home in an evolving, industrial neighborhood of Brooklyn. “We have all these different destinations,” says Lisa Sardinas, the resident and a writer who works from her home office. “I’ll be working, get stuck on a passage, and take a break to go read outside.” On the lower roof, red Vegetal chairs by Erwan and Ronan Bouroullec for Vitra provide moments for repose. 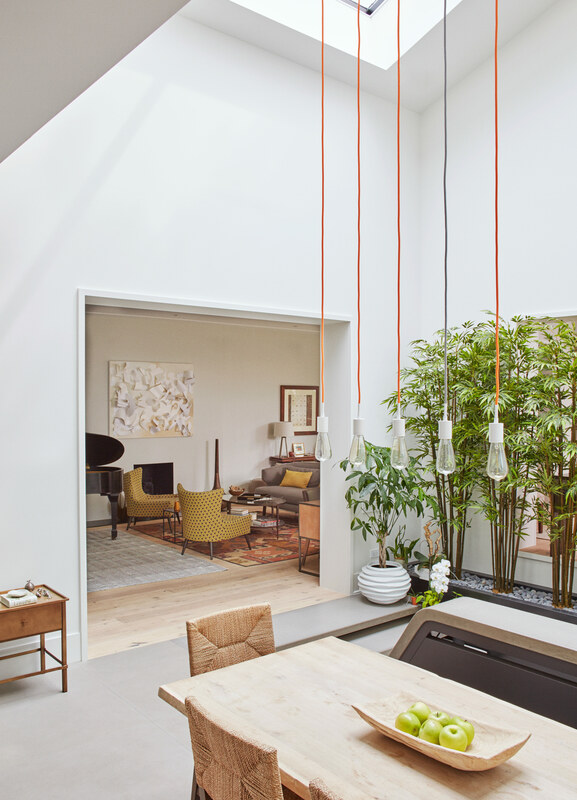 In Chicago’s Buena Park, dSPACE Studio transformed a disorganized 1978 home into a bright retreat that revolves around an expanded atrium. SoCo pendant lights by Tech Lighting draw the eye up to the double-height light well. Florida couple John Pirman and Steve Tetreault built a new house inspired by the Sarasota School. Today’s FEMA codes required a plinth to lift the house five-and-a-half feet above grade and a roof that can withstand hurricane wind loads, making it a challenge to re-create the lightness of midcentury design, Pirman says. A forward-thinking architect builds this multifunctional structure with a burgeoning community in mind. Photo by Brian W. Ferry. Without hope, good design is meaningless. Adapting sustainable practices is one way to signal our responsibility to the next generation; recognizing the importance of community building is another. In this issue, we consider both approaches in the context of today’s American landscape. It’s easy to conjure a bright future when we find creative individuals doing impactful work. In Atlanta, a design student’s thesis for reclaiming abandoned railways will one day increase green space in the city by 40 percent and connect disparate communities separated by existing infrastructure; meanwhile, in Indianapolis, a nonprofit is rescuing discarded building materials to make everything from tote bags to bus terminals. In Cincinnati, a young designer is developing a playful practice and a serious ideology spurred by interaction within the local community. Lastly we highlight a Minnesota artist and community activist using large-scale works to engage passersby in a public conversation about civic responsibility. society’s resistance to reimagining old buildings, though renovation remains one of the best ways to reduce our impact on the environment. The rescue of a neglected structure is always a gratifying story. Case in point is a late 1970s house in a historic neighborhood of Chicago, where architect Kevin Toukoumidis of dSPACE Studio reordered the dwelling’s existing shell and capitalized on an expansive atrium with a respectful sensitivity to the character of the area’s more traditional homes. In the South Texas border town of McAllen, architect Luis López responded to the region’s social context through a project that’s peacefully contrarian. Renovating an existing home with impressive resourcefulness, he also removed and reused building materials, while keeping others intact, ultimately proving that bold, modern projects can be done affordably. We are proud that our cover story this month is a notable grassroots example of how contemporary Mexican architects are gaining visibility on a wider stage. We also salute architect Philippe Baumann for his home in the Gowanus area of Brooklyn, New York. This is yet another example of what an extremely resourceful, and accordingly knowledgeable, architect can accomplish in a complex city with byzantine building codes. It’s inspiring to note the loops Baumann was able to find in local zoning laws, as well as the resulting light-filled family residence, replete with verdant outdoor spaces, ensconced within a largely industrial environment. It’s not easy being green in New York, yet Baumann managed it, and in a very sophisticated way. The Merola residence in Rhode Island by architect Andrew Bernheimer is a notable example of going against the grain of the local vernacular style. In Florida, Steve Tetreault and John Pirman tell their story of conceiving a new house in the style of the Sarasota School. 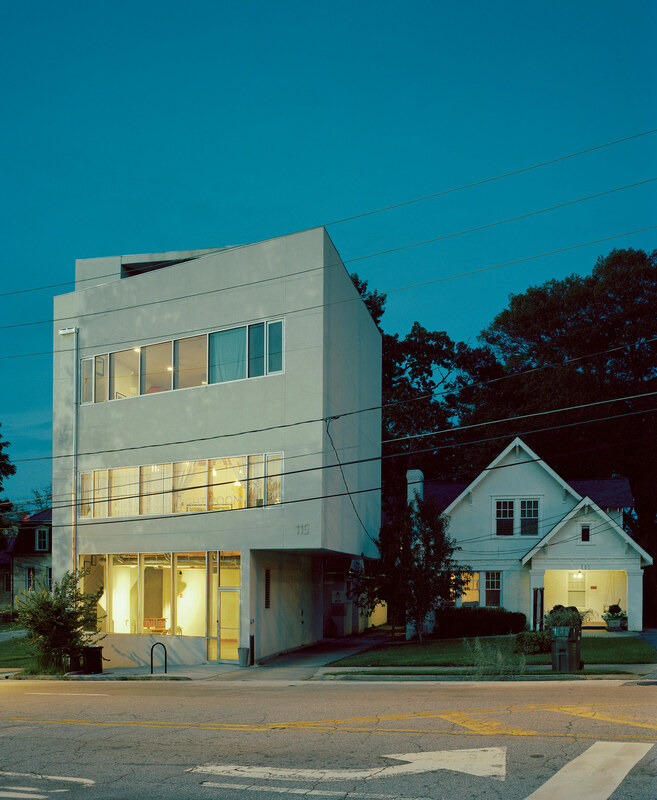 Working with architect Michael Epstein, the couple adopted solutions that achieved the look they so admired, while integrating a more resilient and efficient program than the original modernists could have ever imagined.